It uses an accessible user interface pattern with different modes for correcting system-wide settings using a patent-pending combination of vibrations, speech, and touch. 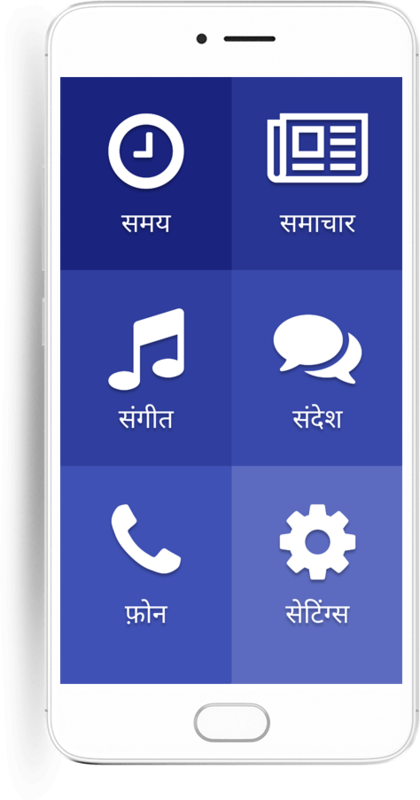 It has Aadhar integration, cashless payments wallet, and works in native languages like Hindi, Bengali, Telugu, Marathi, Tamil, Urdu, Gujarati, Kannada, Punjab, and Assamese. Add accessibility features to any website in just one line of code. 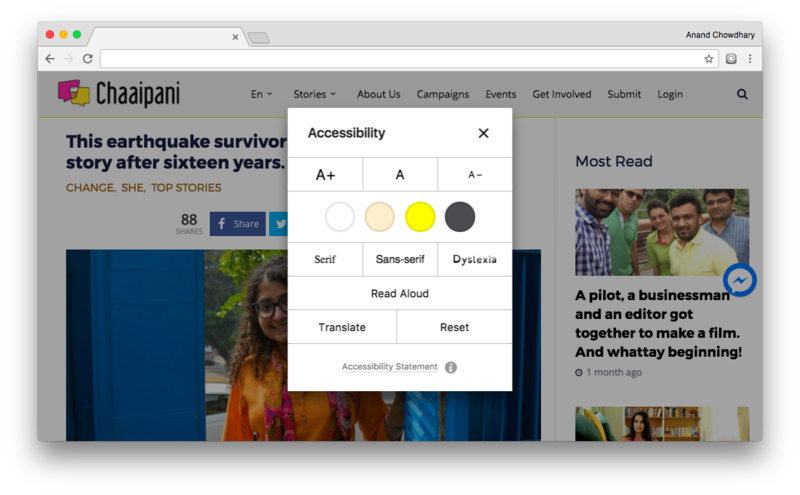 The revolutionary tool for accessible reading on the web is here. 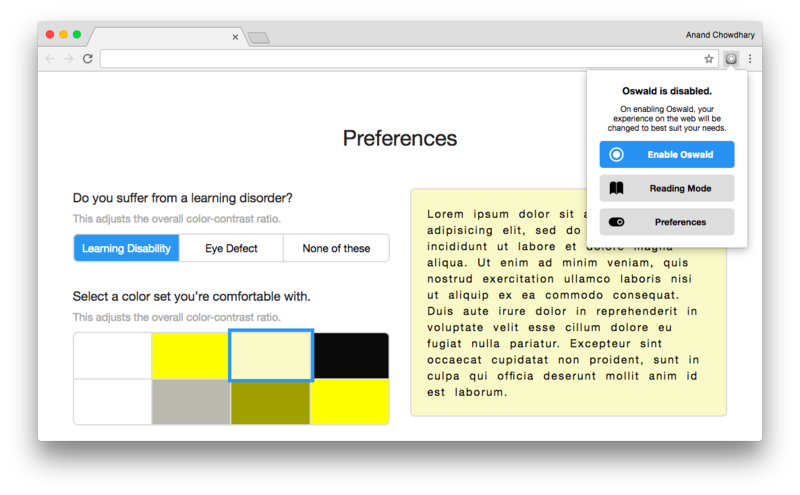 Valmiki is a browser extension that changes the look and feel of the entire internet based on your preferences. Valmiki is especially helpful for people with dyslexia, because it comes built-in with an option that adjusts the color-contrast ratio and typography to best suit the needs of someone with a learning disorder.